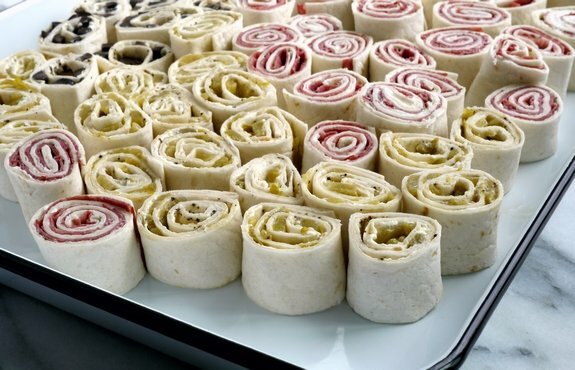 These Secret Ingredient Tortilla Rollups are the perfect party food for any occasion. You’ll be amazed how one, awesome ingredient will take your tortilla rollups to the next level. It’s kind of weird that after so many years and years of this blogging thing, I haven’t shared these Secret Ingredient Tortilla Rollups with you. I make them all of the time and I’ve been making them this way for 20+ years. Maybe I didn’t really consider these a recipe, but truly it’s one of my easy favorites. 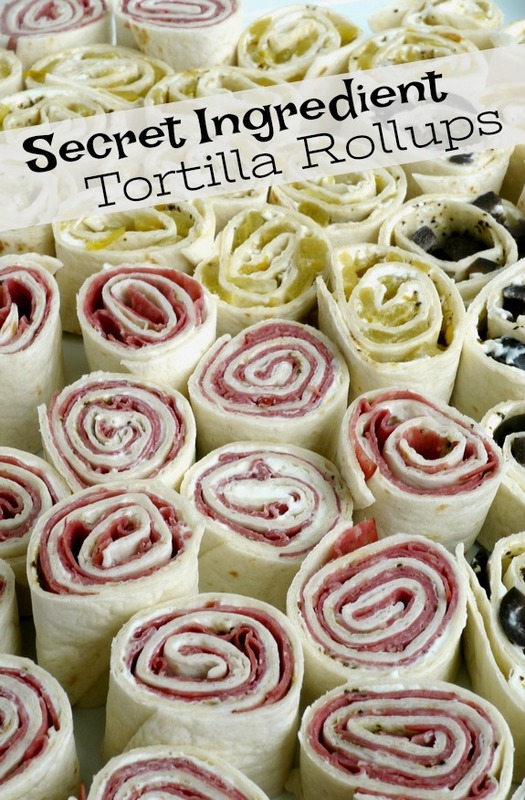 These Secret Ingredient Tortilla Rollups are perfect for back-to-school events, Labor Day weekend, Christmas Eve, Halloween…I could go on and on about all the perfect parties you’re going to want to take them. People will begin to expect them. They are so addictive, it’s kind of ridiculous. They are almost as addictive as my Healthier Spicy Ground Turkey Stuffed Jalapenos or my Philly Cheesesteak Dip. I think what I love most about these Secret Ingredient Tortilla Rollups, besides the taste, is they’re imperfect when it comes to size and shape. You don’t have to be precise when it comes to slicing them, or how much you stuff into each roll. Some will be taller than others. Some will be “fatter” than others. They are rustic and delicious. You will love them. Your guests will love them. You will eat too many. 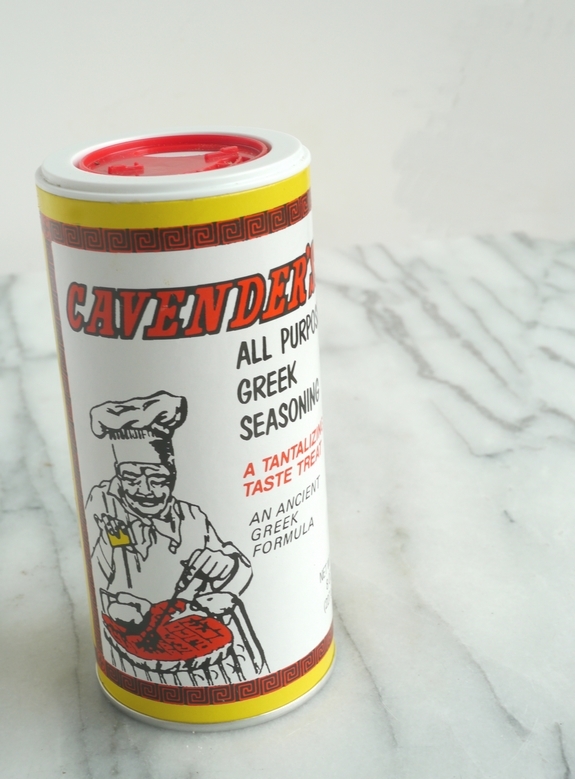 This is it, my secret ingredient is Cavender’s All Purpose Greek Seasoning. It’s available in almost every supermarket. Check the spice aisle. They have a salt-free version too (it’s not as good as the full salt version, but it’s close). It’s honestly so surprising how this one ingredient really makes the regular tortilla rollup so special. But seriously…give it a try. My Secret Ingredient Tortilla Rollups are always made three ways with the seasoning I mentioned. The first is with mild green chiles. It’s such a great combo. 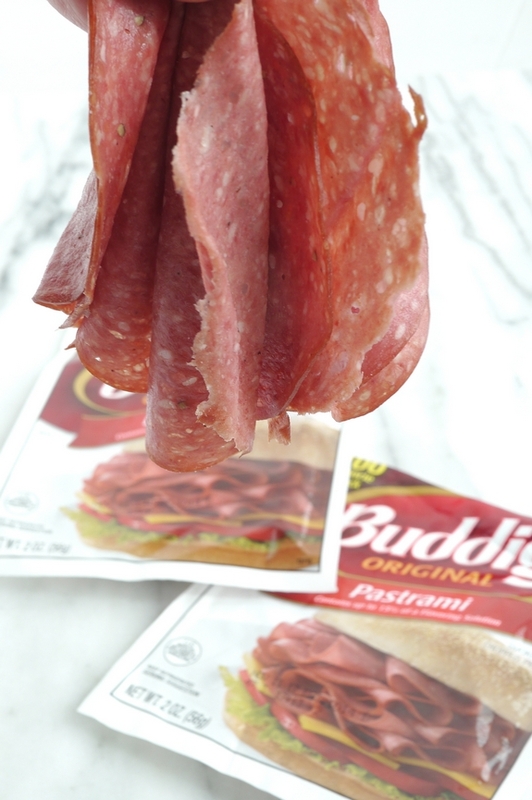 I also make some of my rollups with Buddig Pastrami. I’ve tried all the fancy pastrami, but I’m telling you, this is the perfect one to use with these rolls. See how thinly it’s sliced? That’s what you want. I use seven slices of pastrami for each burrito sized tortilla. There are so many awesome appetizers you can make for your next gathering. 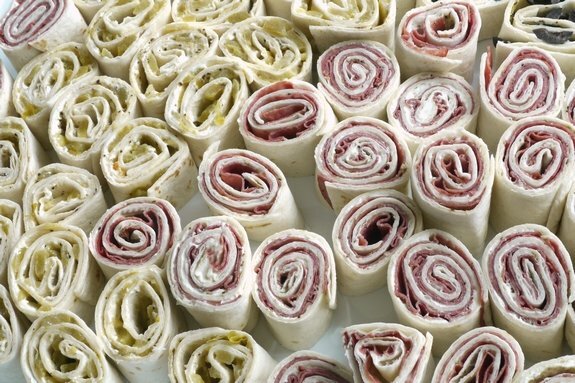 If these Secret Ingredient Tortilla Rollups don’t fit into your menu, give these 17 Appetizer Bites Starring Bacon a try. This Smoked Salmon Appetizer Platter also looks like it would be perfect for so many things. These Easy Cucumber Guacamole Appetizer Bites are definitely on my tailgating menu. This Tex-Mex Appetizer Tart looks like it would be the hit of the party. And don’t even think of not including this Hot Italian Dip at your next game night. 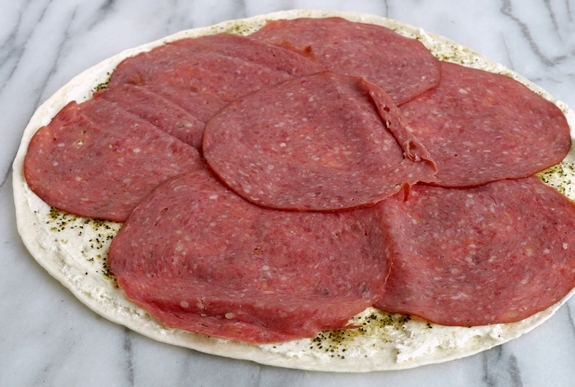 Two years ago I posted about this Dill Pickle and Hot Pastrami Deli Pizza. If you haven’t made, this is a sign to finally give it a whirl. 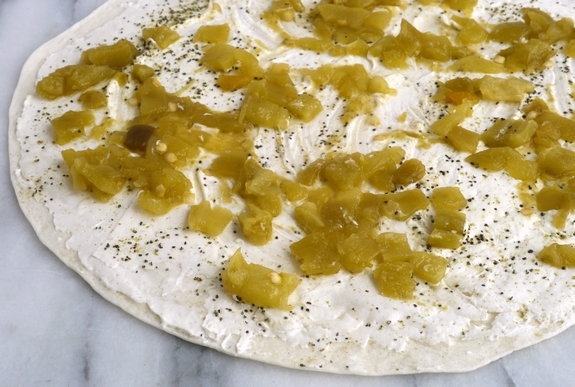 Cover tortilla to the edges with a thin layer of cream cheese. 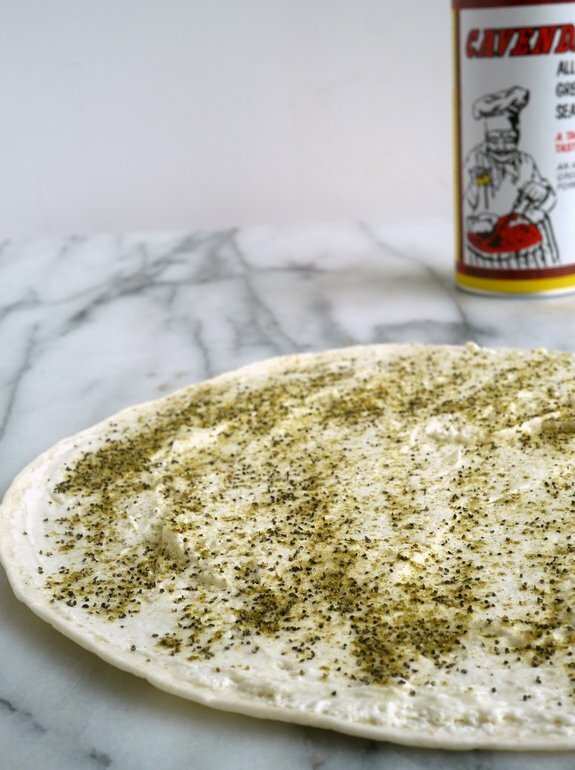 Sprinkle the cream cheese with a dusting of Cavender's Greek Seasoning. Cover cream cheese with a layer of pastrami. 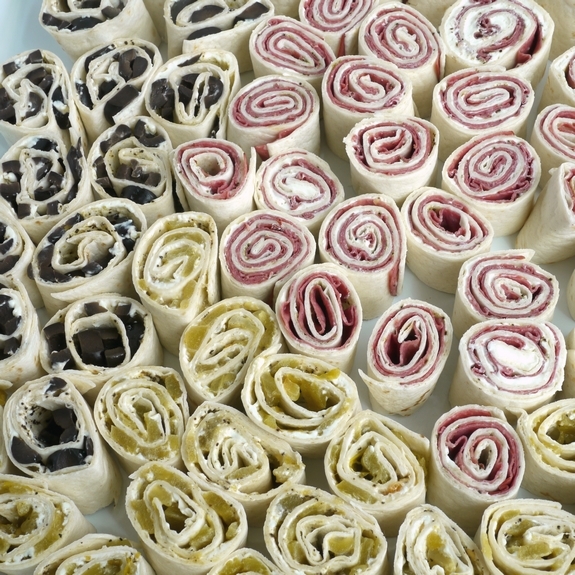 Starting from one edge, roll the tortilla tightly. Wrap in saran wrap and refrigerate for at least two hours. Repeat, making tortillas with olives and chilies, separately. **Note: I highly suggest tasting your first roll before making others. This is how you will know how much seasoning to use since everyone has a different tolerance liking for salt. Time to make a batch. Just wondering, it calls for 5 tortillas and 3 different kinds. Which one only makes 1? Up to you to decide. Some people like extra olives or chiles. Will really depend on how much you put on each tortilla. However I suggest doubling the recipe…they go quick. Yes, just make sure they are refrigerated and wrapped tightly. I would slice them right before serving. I tried these recently, delicious and simple. My one comment is that you need one 2 oz. package of Buddig meat for each tortilla.